As you know I’ve been thinking a lot lately about all the incredible meals Nick and I ate while we lived in New York, and in turn what has struck me, is just how much I am going to miss our favourite go to restaurants, especially all the fantastic, mouthwatering BBQ joints. 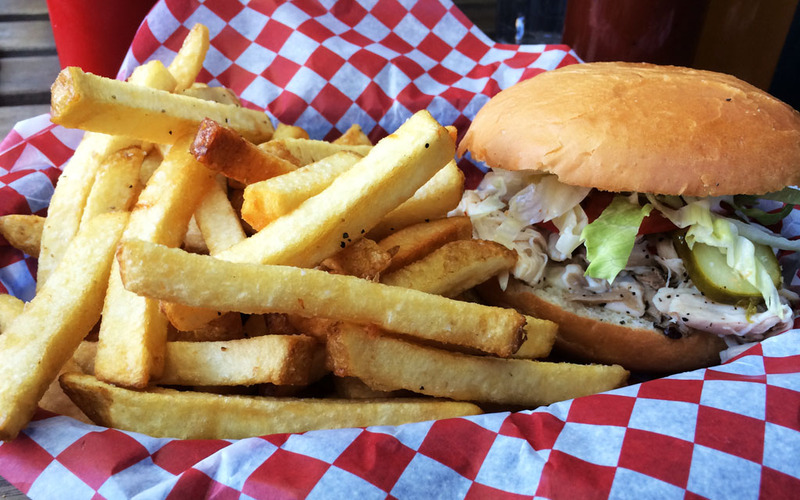 Thankfully, there’s a little ol’ BBQ restaurant here in Vancouver, which dishes up all the southern staples to satisfy any BBQ craving. Phew! 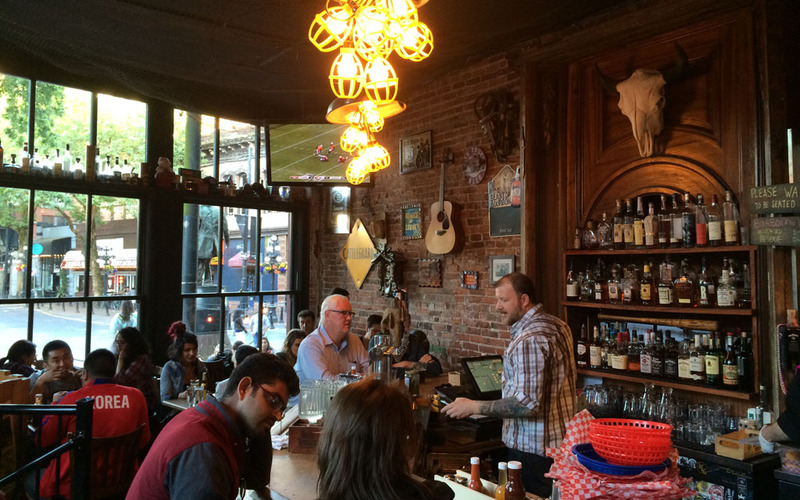 Located in the historic quarter of Gastown, on the corner of Water and Carroll Street, Peckinpah is a Carolina Style BBQ joint that serves up some of the tastiest pulled pork, beef brisket and BBQ pork ribs in town. Unlike the sweet and sticky meats often found in Texan barbequing, Peckinpah adheres to a Northern Carolina style of cooking, whereby the meat (which, by the way is carefully sourced) is prepared with a dry rub in a massive cookhouse smoker and then served with a thin chilli vinegar sauce. I must say that the time and effort involved in the preparation most definitely pays off. The smoky flavour achieved is truly delicious! As are the mouthfuls of juicy, tender cuts of meats themselves, and the irresistible selection of sides which include: home fries, hushpuppies, coleslaw (best I’ve had), cornbread, beef chili and more. Now, there are a few ways to order Peckinpah’s succulent cuts of meat, either on their own or in a combo platter. The platters are great, particularly if you want to taste a bit of everything. They’re also the perfect option if you’d prefer to share or if you’re massively hungry and simply want a huge meal. I have no shame in admitting I polished off an entire basket of fried chicken wings. Boy, were they crisp, juicy and full of salty goodness! Also on the menu are a range of sandwiches (though they look and taste more like burgers), which come in a deliciously light brioche bun. Again the meat on these sandwiches is tender and well seasoned. Whilst there is the option to ‘take away’ at Pechinpah, I would recommend eating in, as the saloon style space has a really cosy and welcoming feel to it. On a busy night the spacing between tables can feel a little tight but I think it adds to the restaurant’s atmosphere. 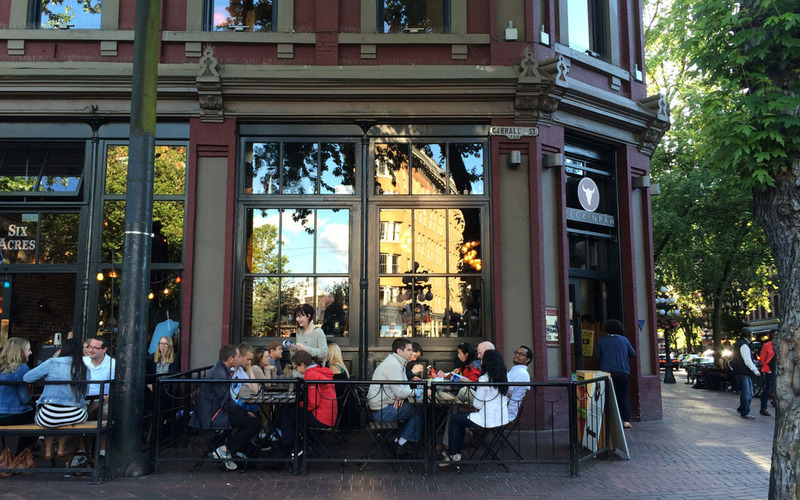 If you’d prefer to be outside, you could always choose to sit out front in the restaurant’s sidewalk seating area. 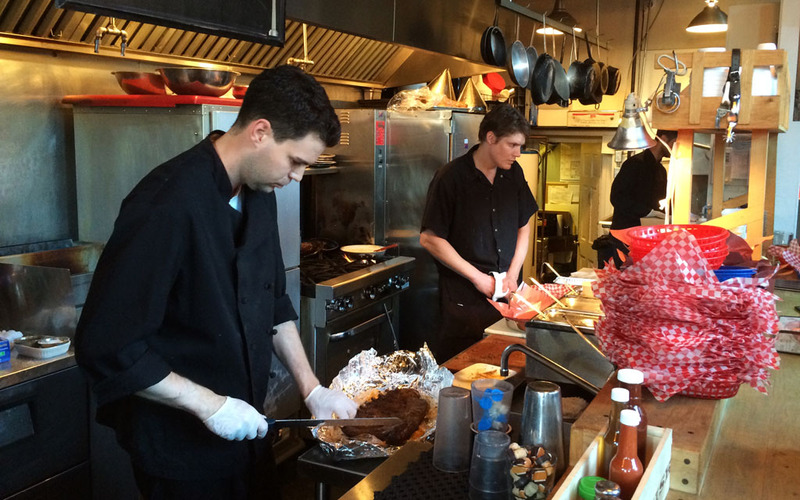 Peckinpah is a casual eatery in the heart of Gastown, serving authentic and delicious barbequed meats. In my book it is an excellent spot to grab a bite to eat. Yum yum get in my tum!!! So delish Dannii! I've been told there's another BBQ joint in town that may even rival this one. So watch this space for yet another BBQ post. 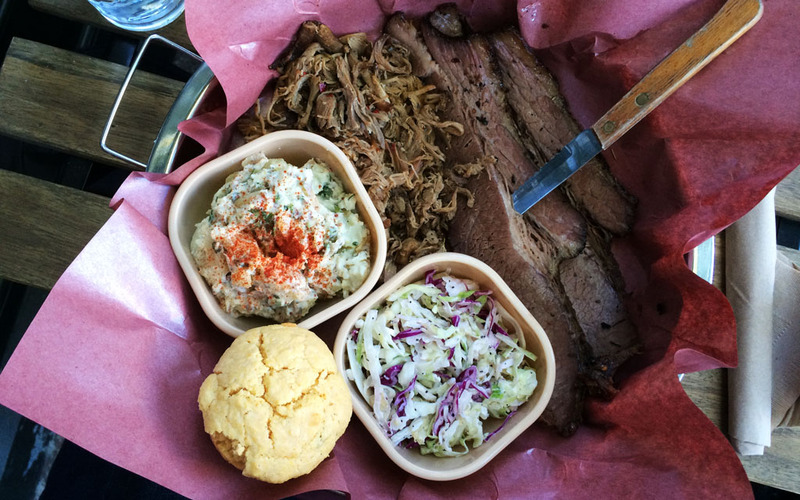 North Carolina Style BBQ joint dishing up delicious succulent, smoky meats.